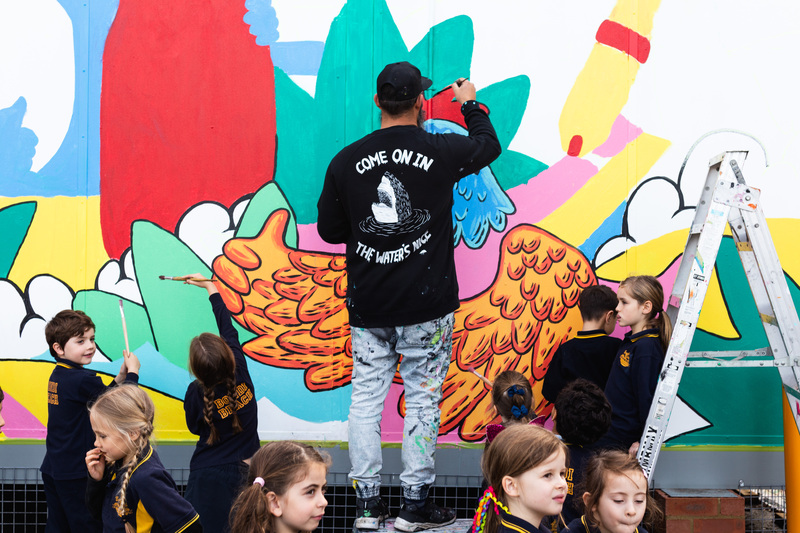 Mulga painting a mural and Bondi Beach Public School, 2018. Photography by Raúl Ortiz de Lejarazu Machin/The Chemistry of Light. 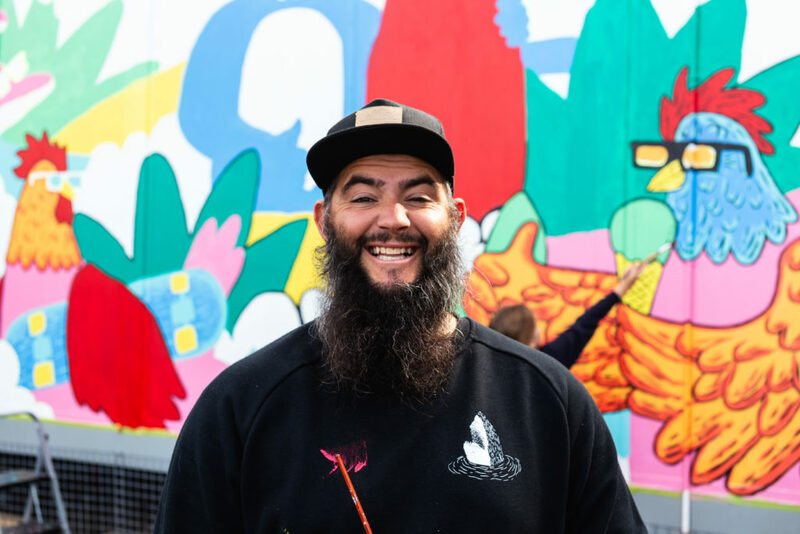 The other thing that’s kinda cool is that Mulga started his art career on the very grounds of the Bondi Beach Public School where he’s painting a mural on the side of one of the classrooms. He’s been working with Year 1 students to create a mural for the side of their demountable classroom. During term two they brainstormed ideas for characters. They talked about the environment, the ocean, things they love to do at Bondi Beach, and then Mulga designed the mural which the Year 6 class has been helping him paint. In the mural there are the usual things you’d find down near the beach; dolphins, surf and sand, as well as some native animals like a koala holding a surfboard and an emu with a lifeguard buoy. A little more unexpectedly there are also chickens donning sunglasses, one carrying a skateboard and one eating an ice-cream. 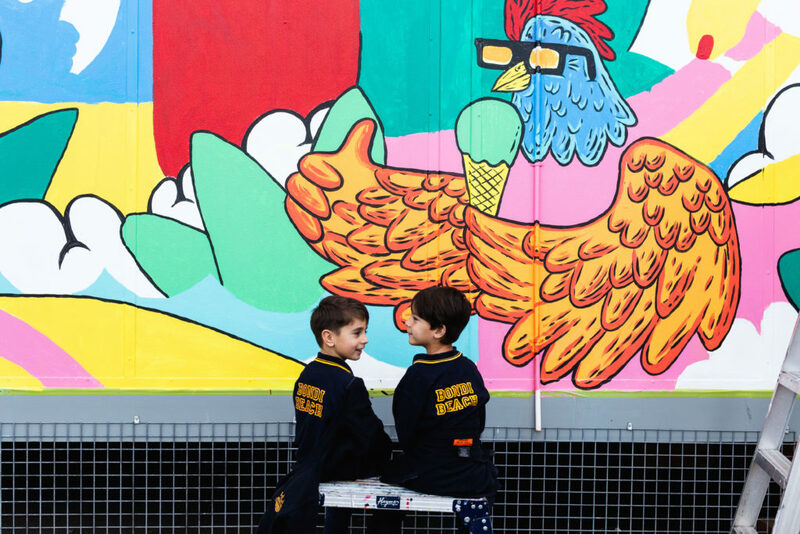 The school has their very own chickens named Sugar, Autumn, Midnight and Pickle, so the students were very keen for the mural to include them. Artist Mulga and his beard. Photography by Raúl Ortiz de Lejarazu Machin/The Chemistry of Light. Beachum believes sitting down at school all day can be dangerous for little children’s minds but with the mural, “they are always excited to come to school and see it.” She believes art helps make the world a fun, engaging and bright place and that this mural celebrates creativity, collaboration and the local neighbourhood. There’s a buzz of excitement as the children swarm around Mulga choosing their favourite animal, asking Mulga questions and wanting to be up close to the artist. 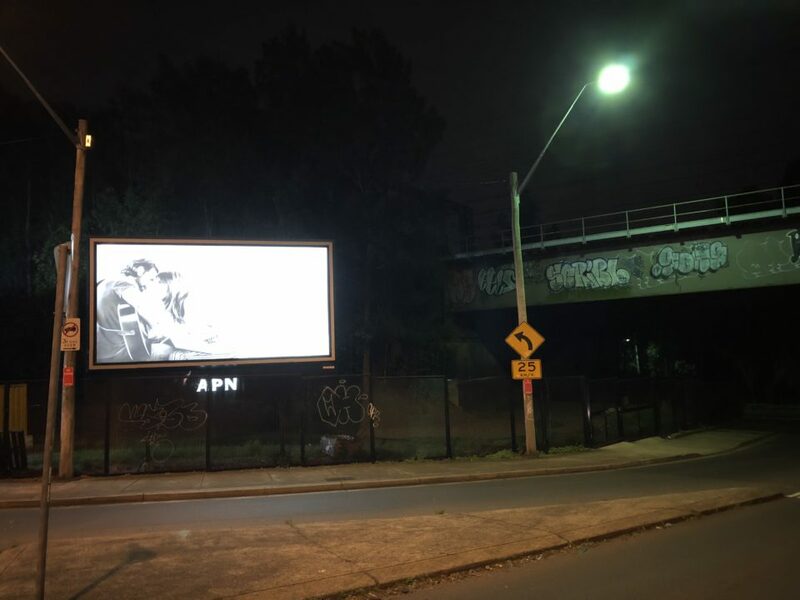 “I always loved drawing as a child,” Mulga says. “I was always drawing in my text books in the margins, but I didn’t think I could do that as a job, I didn’t think you could make money from creative stuff.” So he studied finance. Ten years later he decided he didn’t want to do that for the rest of his life and he became an artist instead. Admiring Mulga’s mural. Photography by Raúl Ortiz de Lejarazu Machin/The Chemistry of Light. Additional credits: film and podcast recorded by Regina Botros. 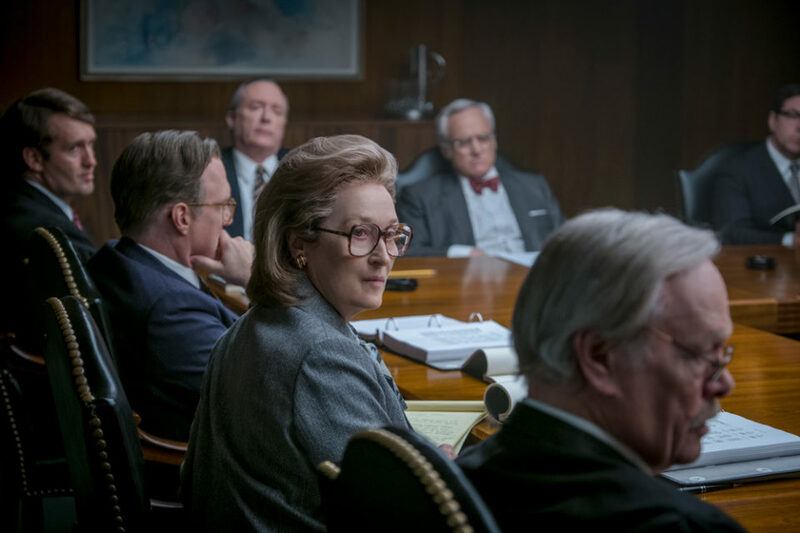 The film has something powerful to say about ‘toxic masculinity’, painting an unusually believable portrait of male energy hedged between self-determination and self-destruction.